Homeowners in the Denver, CO area are constantly adding marble, granite and other similar materials to their homes. However, many homeowners often overlook an amazing option: veneer stone. 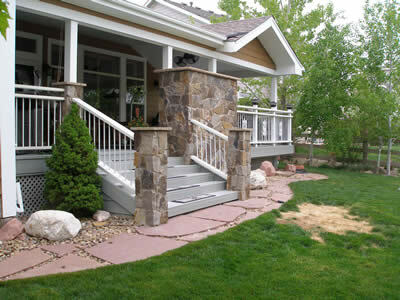 This amazing material can benefit areas inside and outside of your Denver, CO home. Anyone who is unaware of the many benefits of veneer stone should take the time to do a little bit of research. 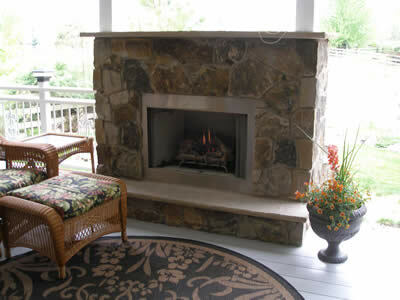 This may influence them to install veneer stone into different areas of their home. There is no denying that veneer stone is visually appealing. It gives any room or custom outdoor kitchen and natural, rustic appearance. Veneer stone has a lot of texture, allowing it to add depth to a wall or practically anything else. It can also be used to make a practical and visually appealing walking area for swimming pools. With all of this in mind, it is easy to see why more homeowners in Denver, CO are beginning to integrate veneer stone into their home. Like many other stone materials, veneer stone has an extremely long lifespan. If done correctly, it can last anywhere from 25 to 75 years. This means that a homeowner can potentially only have to install the veneer stone once in his or her lifetime. This makes veneer stone a very practical and cost effective material to use in the home. One of the final reasons that homeowners in the Denver, CO area should install veneer stone in their home is because it is fairly easy to obtain. Luckily for people the Denver, CO area, there are a number of veneer stone sales services within a short drive. This makes it easy for the residents of Denver, CO and nearby towns to get a great selection of veneer stones. To learn more about the numerous reasons why you should install veneer stone in your Denver, CO home, don’t be afraid to get in contact with the veneer stone sales superstars at Hi Tech Appliance.